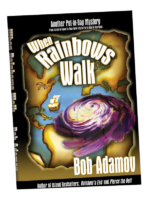 In 1928 a Pinkerton detective in a Ford trimotor plane chases a Flagler treasure train to Key West during the Okeechobee Hurricane. Neither makes their destination. Put-in-Bay’s investigative reporter, Emerson Moore, learns of this mystery during a visit to Bellevue, Ohio’s train museum. Working on a Cuba to Key West drug trafficking story, Moore goes undercover in a Key West bar, hoping to connect with a powerful Cuban drug lord while he also investigates the plane’s and train’s disappearance. Amidst several murder attempts, Moore finds himself challenged to survive – especially when two characters appear from Moore’s past who could reveal his true identity. Assisted by a Cudjoe Key defense contractor, Moore is transported covertly to Cuba. There he encounters a seductive Georgia woman searching for her lost brother, a DEA agent, and the two team up to infiltrate the drug lord’s lair in the towering Sierra Maestra mountains. After a series of mishaps, a seriously wounded and barely alive Moore flees down the mountainside into the jungle with his pursuers hot on his heels. Will he survive this deadly adventure? 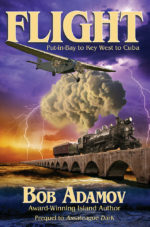 Flight is a colorfully-cast novel with a mix of tantalizing clues and unpredictable turns that captures the flavor of island life in Key West and Cuba. NASA rocket explosions and a series of unsolved murders disrupt the idyllic calm of Chincoteague Island, a quiet barrier island on Virginia’s east coast better known for its annual pony swim. 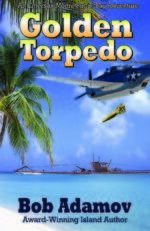 Put-in-Bay investigative reporter Emerson Moore’s relaxing fishing vacation to Chincoteague Island is interrupted when he becomes embroiled in deadly international intrigue affecting NASA rocket launches. Assisted by the sultry director of nearby Wallops Island’s NASA facility, the sarcastic head of NASA security, the charming owner of Captain Bob’s Marina, and a mysterious loner, Moore works his way through a maze of suspects, including some local troublemakers and rocket experts from Russia, China and Europe—any of whom might be motivated to sabotage the U.S. space program. Bodies start dropping faster than horses running from a wildfire while Moore is still knee-deep in identifying who’s behind all the chaos, treachery and deception. Lives can be saved if only Moore can discover who is sabotaging the U.S. space program—and why—all while preventing himself from becoming a victim. Murder, cross and double cross. Who’s telling the truth? 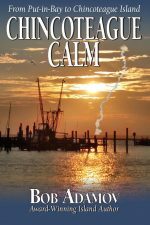 Mixed with local Chincoteague Island flavor and characters, Chincoteague Calm is a breathless roller-coaster ride filled with twists, turns and gut-wrenching surprises as Moore works furiously to break through the fog of deception that has enveloped the once-peaceful island. 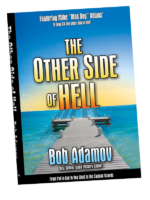 Ace Put-in-Bay-based investigative reporter EMERSON MOORE has the tables cruelly turned on him following the murder trial and conviction of Detroit mobster, JIMMY DIAMONDS. During a wildly daring prison van hijacking and go-fast boat escape on the Detroit River, Moore incurs a severe head injury during a gun battle. When the getaway boat is found abandoned on Lake Erie, Moore is missing. That’s not all that’s missing. When Diamonds learns that Moore’s memory is missing, he convinces Moore that he’s Manny Elias, one of organized crime’s top hitmen. Moore/Elias is whisked to the backwaters of Cedar Key, Florida by Mafioso FAT FREDDY FABRIZIO to be “retrained” in the art of killing. Moore/Elias later surfaces in Ohio where Diamonds uses him to take revenge on former criminal associates in Detroit, Columbus, Cleveland and Chagrin Falls. Completing one deadly assignment after another, Moore/Elias is unable to reveal his identity to a beautiful woman he befriends near his Wooster hideout. A confrontation with rival hitman SANTORO at a Lake Erie marina leads to the eventual death of one person who holds the key to Elias’ true identity. The novel is fast-moving and action-packed. It shows emotional turmoil as Moore/Elias struggles with the trauma of his memory loss and an inherent ethical dilemma with cold-blooded murder. It’s further complicated when two of Moore’s ex-SEAL buddies, MIKE “MAD DOG” ADAMS and SAM DUNCAN, find themselves in the cross hairs of Moore’s weapon and Moore/Elias is ordered to kill them in what is another exciting showdown and satisfying finish to a complex series of twists and turns. From Croatia to Put-in-Bay to Toledo to Naples In 1991, a young EMERSON MOORE is given his first major investigative reporting assignment. He becomes ensnarled in the midst of the Serbian-Croatian war in Vukovar, Croatia. Moore gets in the cross hairs of a blood-thirsty Serbian paramilitary commander MARKO MARINKOVIC, known as the VUK (Serbian for Wolf), and his wolf pack. Besides committing atrocities against the Croatians, the Vuk is involved in international human trafficking and covets a beautiful, young Croatian orphan girl, whom Moore tries to protect. The story advances to current time with Moore enjoying life in the Lake Erie island resort village of Put-in-Bay when a woman’s murder and the disappearance of two teens entangle Moore in the world of international trafficking. 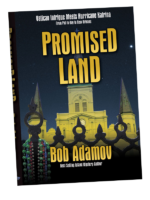 Moore goes undercover in the trafficking gateway city of Toledo, Ohio, and finds himself transporting victims along the I-75 corridor to the BOSS in Naples, Florida. Moore’s life is further complicated when the Vuk resurfaces and is intent on finishing off Moore. From dodging bullets and incoming shells in Croatia to the horrific death of his wife and child in Washington, D.C., Moore rides a roller coaster of emotional twists and turns, plunging him to the depths of despair and taking him to the heights of redemption. 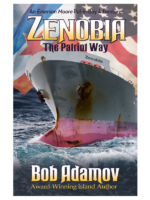 Filled with an array of colorful characters, Zenobia bursts with action and intrigue. 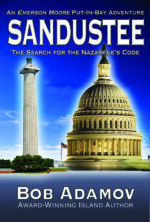 If you liked National Treasure and DaVinci Code, you’ll love Sandustee. 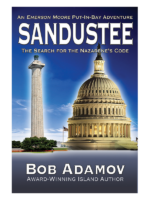 It’s a worldwide chase for clues to finding a lost Biblical scroll, the Nazarene’s Code, which gives the holder the power to control nations. 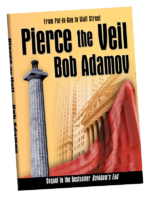 Running through the novel is a thread which links Osama Bin Laden to Jesus and the twelve disciples to Abraham Lincoln to Lincoln’s assassination to Booth’s escape to Dr. Samuel Mudd’s house to Mudd’s imprisonment in the Dry Tortugas. The thread is the Legend of 13; words with thirteen letters have stunning implications on the plot line. FROM LAKE ERIE’S PUT-IN-BAY TO THE WHITE HOUSE Something is killing the perch in Lake Erie. Is it bioterrorism or a new fish kill virus? 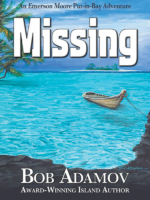 When incumbent United States President RICHARD BENSON and the Canadian Prime Minister visit the Lake Erie Islands’ Stone Lab for a meeting and walleye fishing, BENSON disappears. It’s two days before BENSON stands for renomination at the party’s national convention in Cleveland. A tragedy on the dangerous wintry ice of Lake Erie causes Washington Post investigative reporter EMERSON MOORE to escape to the Cayman Islands. There, he is drawn into the intrigue surrounding nefarious Jamaican drug lord, PRYCE CLARKE, and his surreptitious underwater activities in Boatswain’s Bay off of DiveTech. At the same time, MOORE stumbles across information regarding the missing German raider and uncovers a deadly Soviet Union plan for the United States during the Cuban Missile Crisis. A Vatican envoy on a secret mission is murdered and his invaluable gold cross is stolen during the Battle of Trafalgar in 1805. The cross and its hidden message surface in New Orleans after Hurricane Katrina hits in August 2005. When the treasure-laden Spanish galleon, The Atocha, sinks off the Marquesas Islands during a 1622 hurricane, its $400 million in treasure remains untouched for 351 years until it is discovered by treasure hunter, Mel Fisher, and moved to Mel Fisher’s Treasure Museum in Key West. Max Ratek, the Michelangelo of Wall Street takeover artists, quietly plots a takeover battle for a Cuyahoga Falls-headquartered tire company. Ratek’s plan goes awry when the tire company’s investor relations professional, who is battling the ravages of MS, prematurely discovers Ratek’s scheme and launches a preemptive first strike against this titanic robber baron. 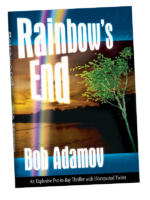 The Put-in-Bay resort town on South Bass Island and the neighboring islands provide the backdrop for an action packed novel including hit and run accidents, murder, arson, sailing adventures, dangerous cave explorations, boat and helicopter chases and ultralight flights as well as sordid confrontations in Put-in-Bay’s crowded bars.